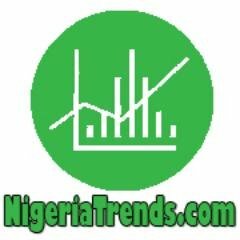 NigeriaTrends.com — Not all Nigerians are in support of the $6 billion USD loan China offered Nigeria to fund infrastructure projects on Africa’s largest economy; which is part of China’s drive to deepen its ties with Africa. An opinionated piece written by Adebambo Adeleye of Lagos in a Facebook Group, explains why Nigerians are against the $6Billion USD loan from China. 1) China wants to lend us 2 billion dollars [6 billion], but they want to give us in Yuan and not the dollar itself. They get to value the contract and determine the price, meaning they can sell something worth 200 Naira for N2000 and we don’t have a choice ‘cos it is on credit. 3) China want us to pay back in dollars, that is not all, we are moving our foreign reserve to fake currency(Yuan) a currency that is manipulated openly by the Chinese government. Did anyone ask Lamido Sanusi what happened to some of our reserve he moved to Yuan few years ago? They sold us Yuan at 4 to a dollar, only to devalue their currency few weeks latter to 9 Yuan per $. Many Nigerians don’t know that even Chinese company don’t want yuan, nobody want it, Chinese foreign reserve is in dollars, China is the largest holder of US bond, they want dollars by all means. 4) China have more lobbyists in Washington DC than any other nations on earth, begging Washington politicians to always make policy in their favour, how can such country save us from USD? Has anyone asked why China hasn’t built any refinery in Nigeria?? They have the money, they want the profit, but never did it. You must be living in a PARALLEL world if you think that Nigeria’s intention of being a clearing house for the Yuan in Africa means the naira will now hold steady. If you like tie your currency with Thailand Baht or Ghanaian Cedi, the value of your currency will always have the value it deserves. The Yuan will swing with the wind depending on what happens to the world’s controlling currency, the dollar. The naira will continue its natural slide as you produce and export very little and even your trade with China becomes very expensive as the world’s comparative exchange rate will not wait for the Naira/Yuan pretend marriage. The value of the naira will continue to be subject to the international exchange rate, which is controlled by the DOLLAR! Nigeria has taken the path of double parallel which will be unsustainable in the medium term as a consumer nation. The naira will continue to fall unless you can sell more oil or start exporting something the rest of the world would pay you for. My projection for the naira is 500 to $1 by year end if the oil price does not improve drastically and we sell oil, the only thing we ‘produce’. You don’t expect a man with a NEPA BILL CERTIFICATE or his zombie followers to understand this!! So, what’s your reaction to this Nigerian trend?